Peugeot Rifter Performance, Engine, Ride, Handling | What Car? The Rifter shares its engines with the Citroën Berlingo and Vauxhall Combo Life. The diesel range starts with a 74bhp 1.5-litre (Blue HDi 75), which doesn't really have enough power for such a sizeable vehicle. Getting from 0-62mph officially takes more than 16sec and it feels very slow on the road, even before you've loaded the car up with passengers and luggage. For spritelier performance, you'll need to go up to at least the 99bhp (Blue HDi 100), but the 128bhp (Blue HDi 130) is the best of the diesels and will suit those who regularly drive with family and luggage, thanks to plenty of low-down grunt. 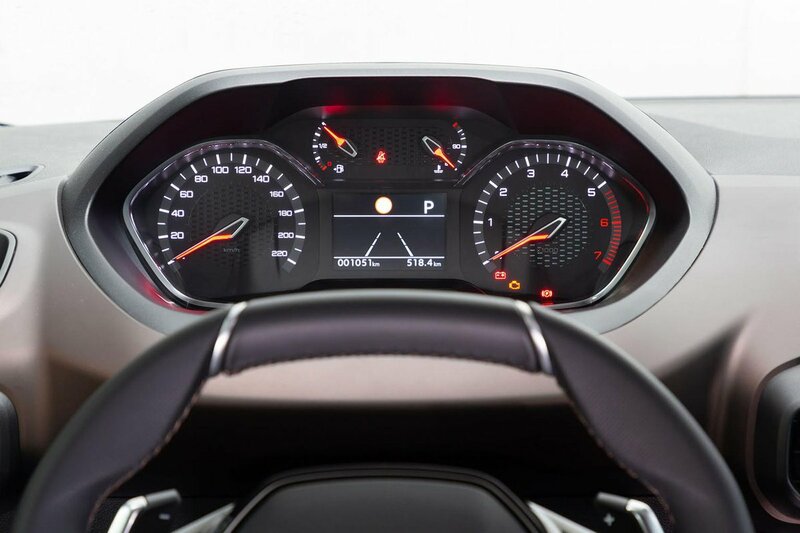 Its optional eight-speed automatic gearbox may hesitate slightly when pulling away from the traffic lights or merging onto a roundabout, but it shifts quickly once you get going and allows you to change gear manually by using the paddles behind the steering wheel. It's a petrol – the 109bhp 1.2-litre turbocharged Puretech 110 – that's our favourite engine in the range, though. 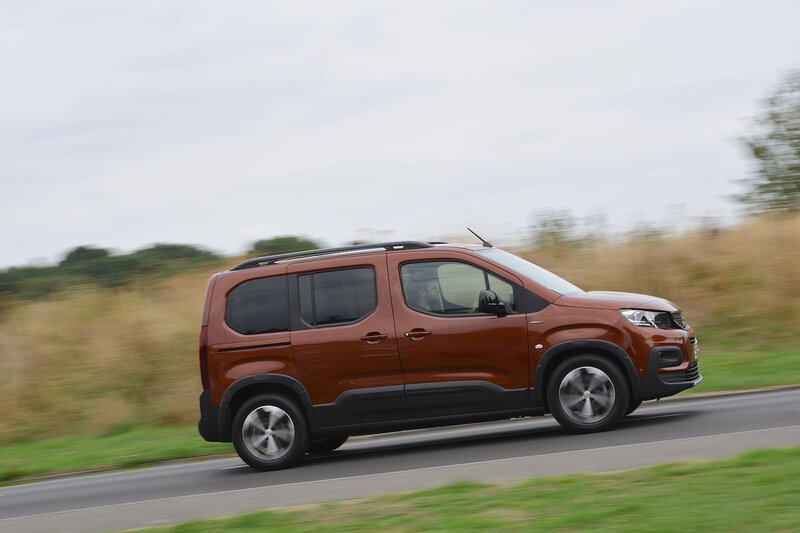 Mated to a six-speed manual gearbox, it pulls solidly from low revs and has enough mid-range torque to suit the five-seater models (although you're better off with the torquier BlueHDi 130 for the seven-seater). It also fells peppy enough, if you’re prepared to rev it hard. The manual ’box shifts fairly smoothly, too, even if it isn’t as slick as the gearboxes you’ll find in a Volkswagen Touran or Ford S-Max. Overall refinement is impressive, with little road noise echoing around the spacious, lofty interior and only a tad too much wind noise disturbing the calm. The ride is mostly comfortable, although the bigger 17in alloys on GT Line models can make it a bit crashy so we'd stick to the lower trim levels with their smaller wheels. 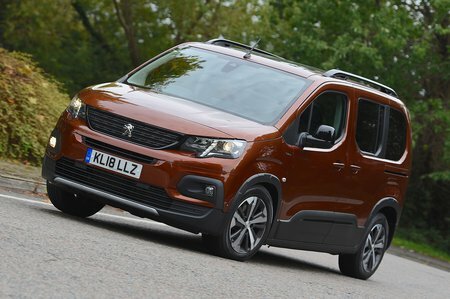 The Rifter adopts the small octagonal steering wheel found in other Peugeot models and, while the steering isn't quite as darty as it is in those, it’s still reasonably responsive for this type of vehicle. We suspect many will prefer the larger wheel found in the Berlingo and Combo Life, however.